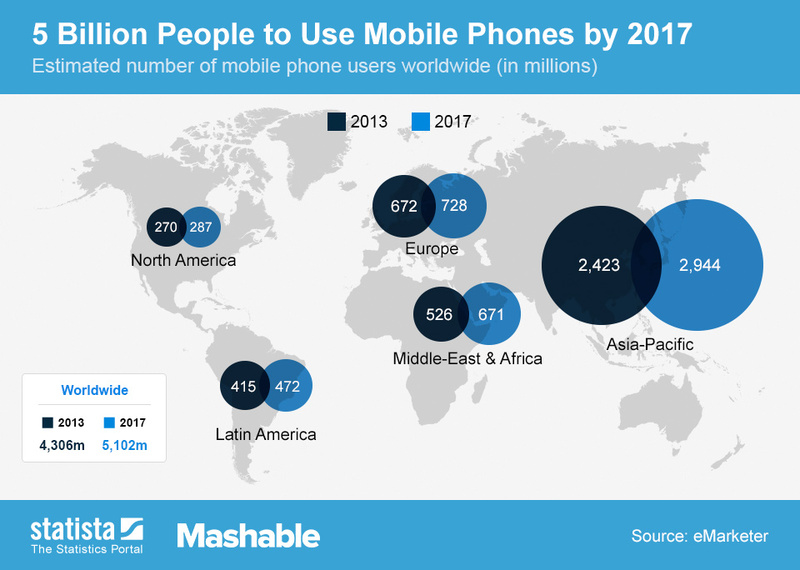 Today, more than 4.3 billion people around the world are mobile phone users. According to eMarketer’s prediction, by 2017 that number will surpass 5 billion worldwide. The statistics portal offers a comparison of mobile phone penetration in 2013 to forecasts for 2017 in different regions of the world. How do you think the growth in mobile users will affect application development and business? This entry was posted in iphone app developer, iphone app developers, iphone app development, iphone app development company, mobile app development company, mobile application developer, SnApp Development and tagged app development ios, ios app developer, ios app developers, ios app development tools, ios application developer, ios application developers, ios apps development, snapp, snapp development, snapp development llc, snapp llc, snapp-dev, snapp-dev.com, snappdevelopment.com, www.snapp-dev.com. Bookmark the permalink.